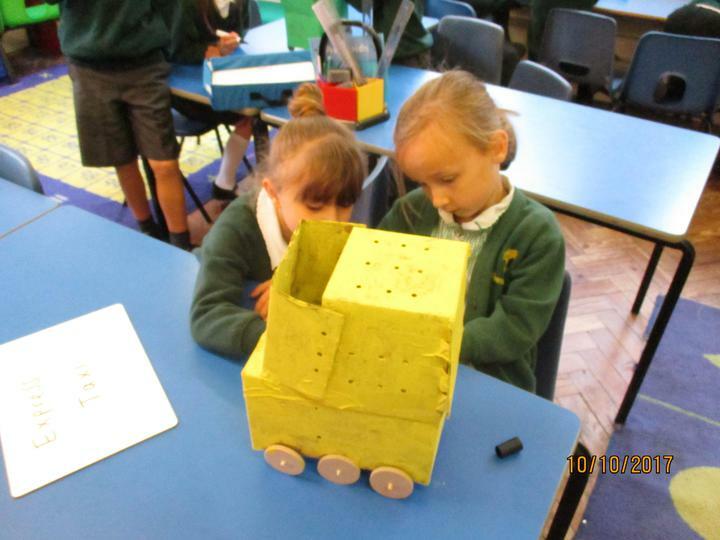 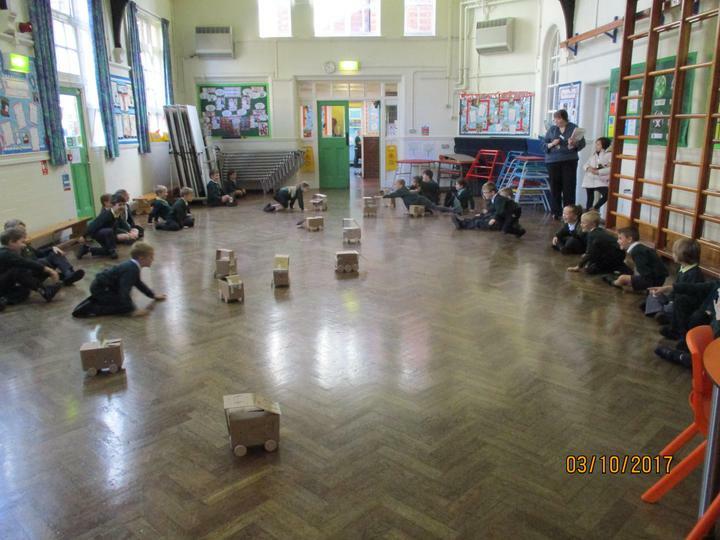 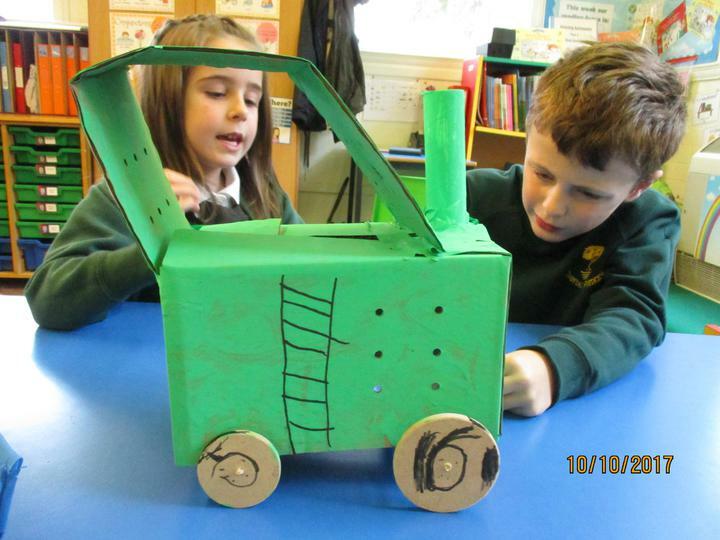 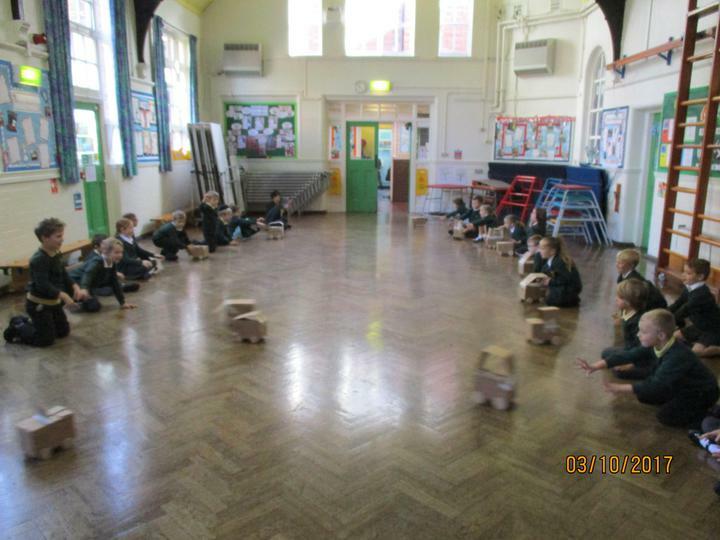 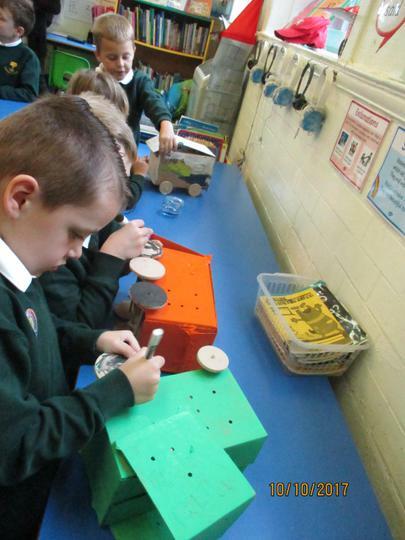 We then used boxes and cardboard to build the vehicle body and painted our models. 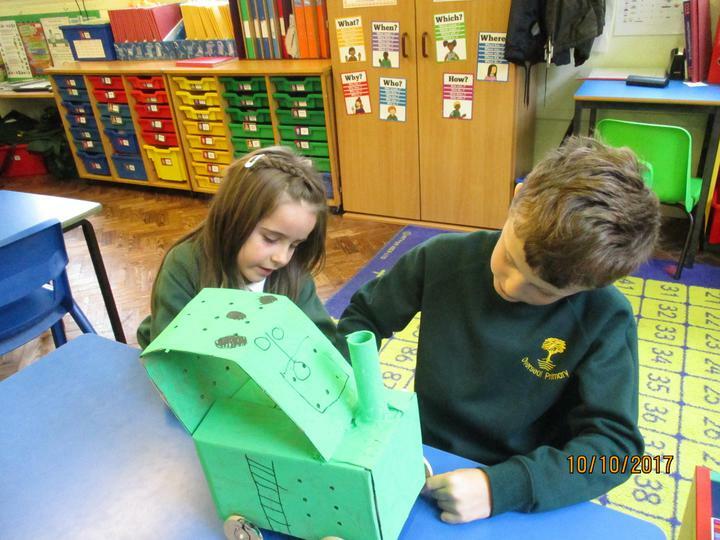 Finally, we used pen to draw on extra details on, such as windows and words. 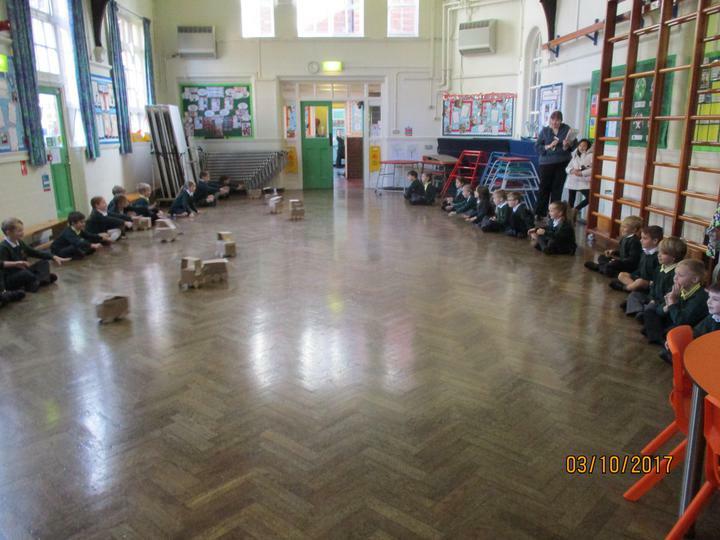 All our models move well and look brilliant and everyone enjoyed having a rally in the hall! 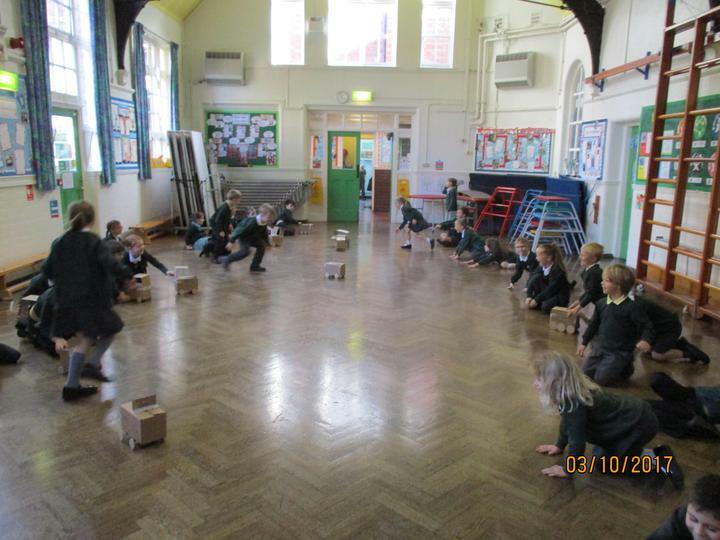 First, Year 2 used the Ipads to research the life of Florence Nightingale, and answer comprehension questions. 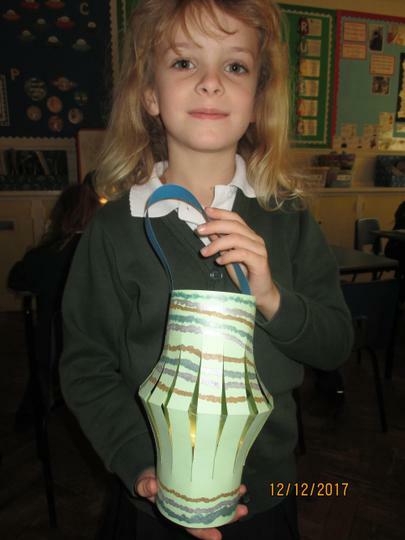 We looked at the Turkish lanterns that Florence used, to check on her injured patients in the Scutari hospital and compared these to modern, electrical lighting. 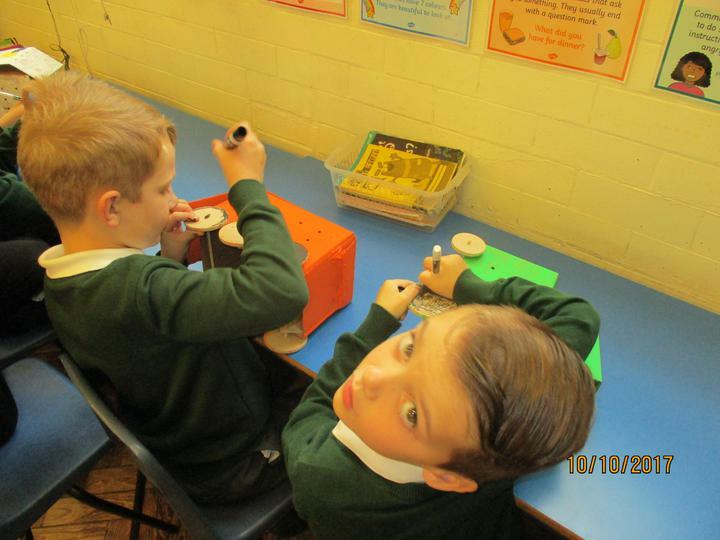 Next, we had great fun investigating electrical circuits to make bulbs light up! 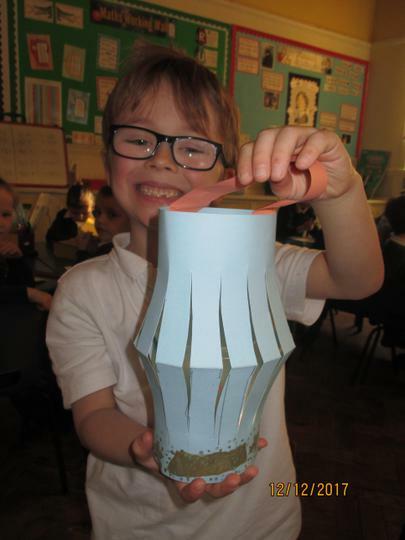 Although it was initially quite tricky, the children then used their measuring skills to make card lanterns, which acted as covers for the plastic cups holding the electrical circuits. 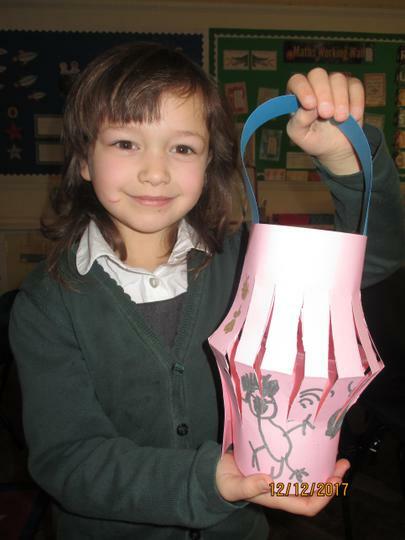 Finally, the card lanterns were decorated and the lamps assembled. 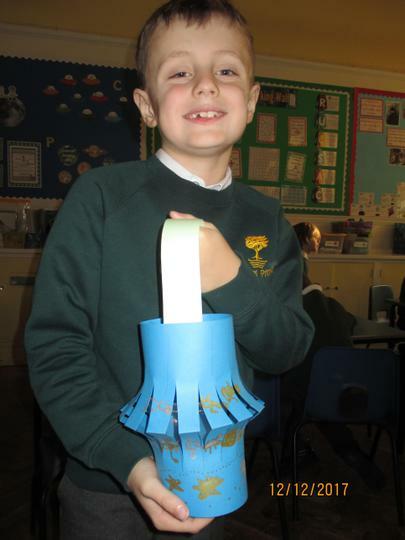 I am really proud of the children's finished lamps! 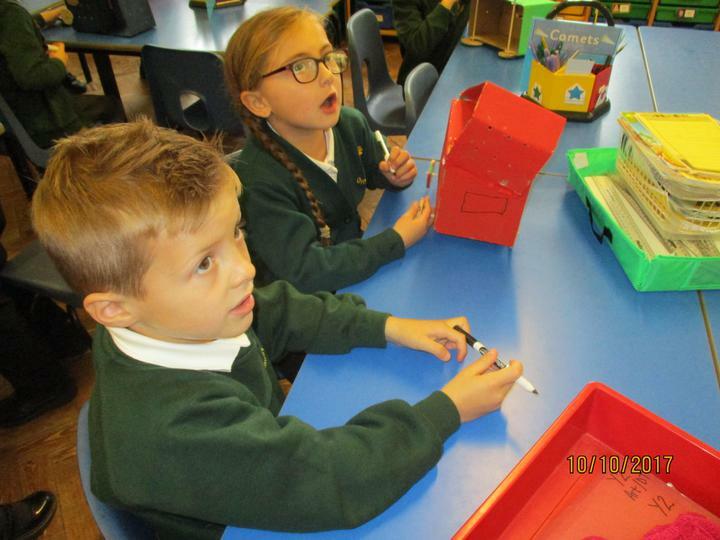 This term, Year 2 have been creating a variety of mixed-media collages. 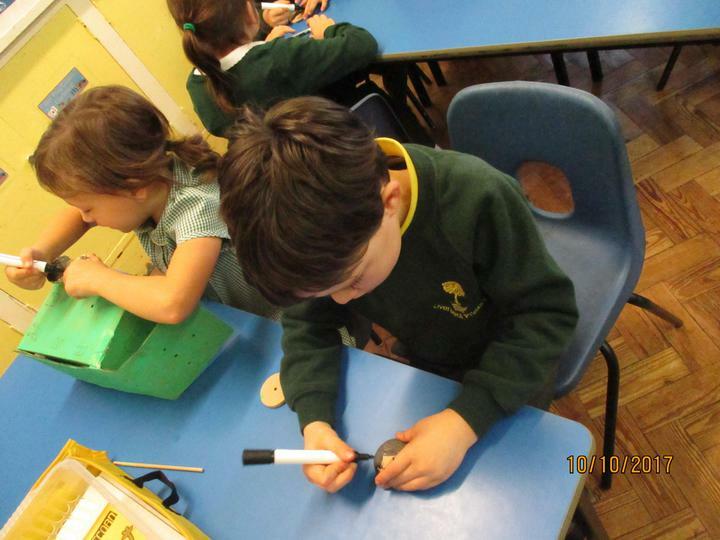 Mixed-media means using a variety of materials and our first collage was made using different types of paper. 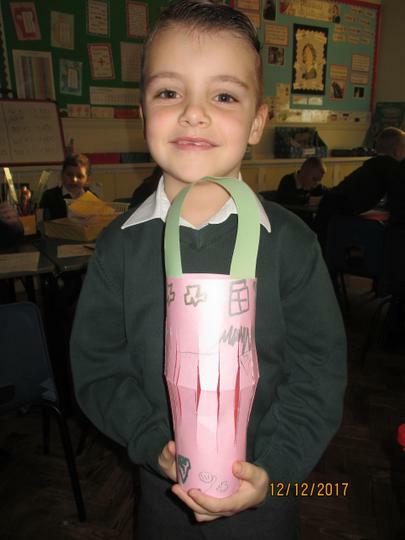 The children used coloured paper scraps, and tissue paper to create a background based on one colour only. 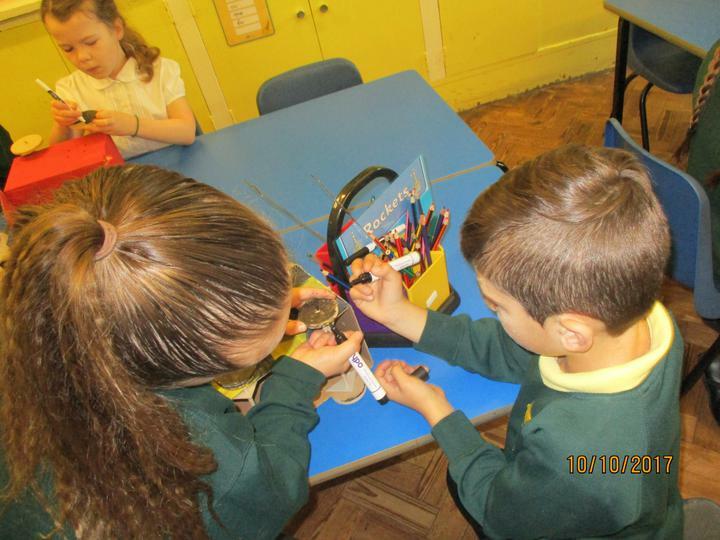 We then glued on pieces from road maps, old stamps and pictures and words from magazines or newspapers. 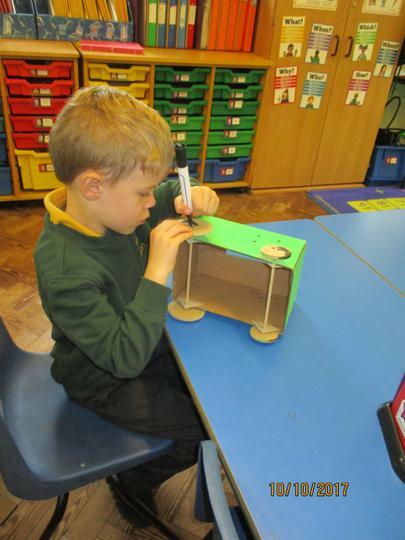 The children learned that it is impossible to make mistakes with collage, because you can just keep adding pieces over the top. 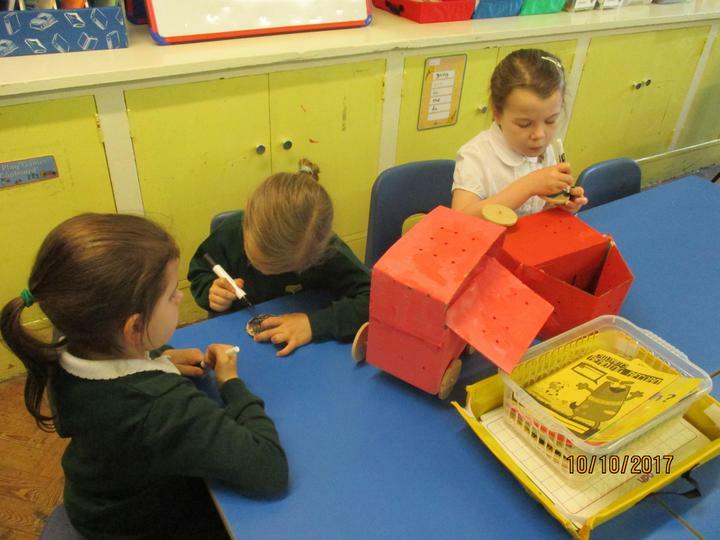 Collages are just like jigsaws in that you play with the pieces, until they "fit" and you like what you see. 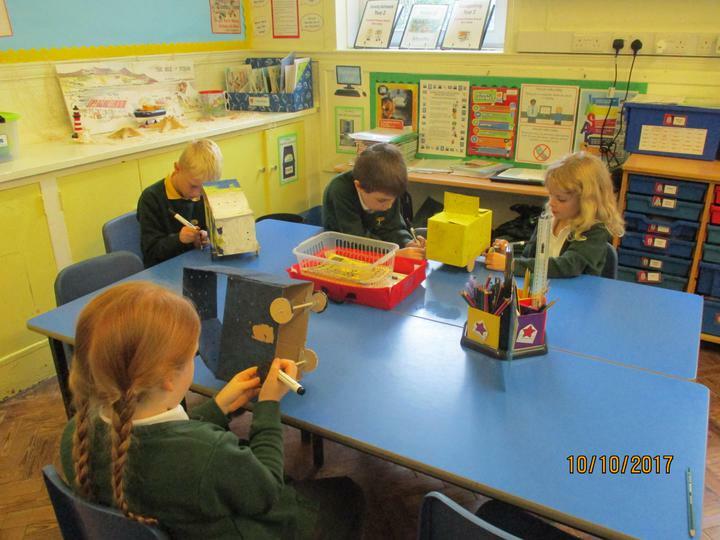 We now have a class zoo of African animal puppets, which include elephants, meerkats, monkeys and lions!